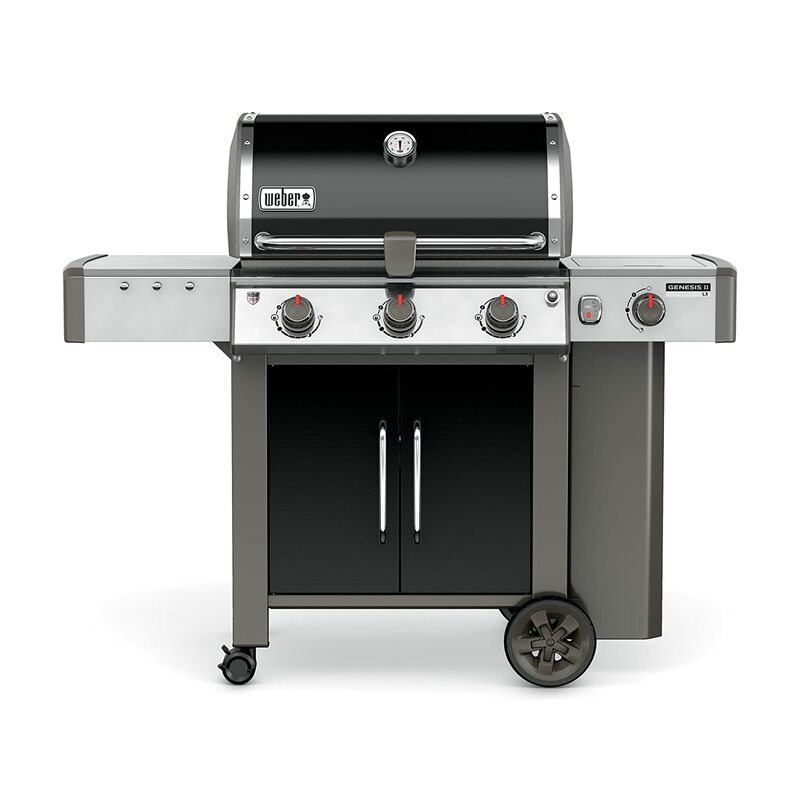 Weber grills come in five main types: gas Weber grills, charcoal Weber grills, portable Weber grills, smoker Weber grills, and electric Weber grills. Gas Weber grills have the most options, with a few dozen to choose from based on your specific needs. 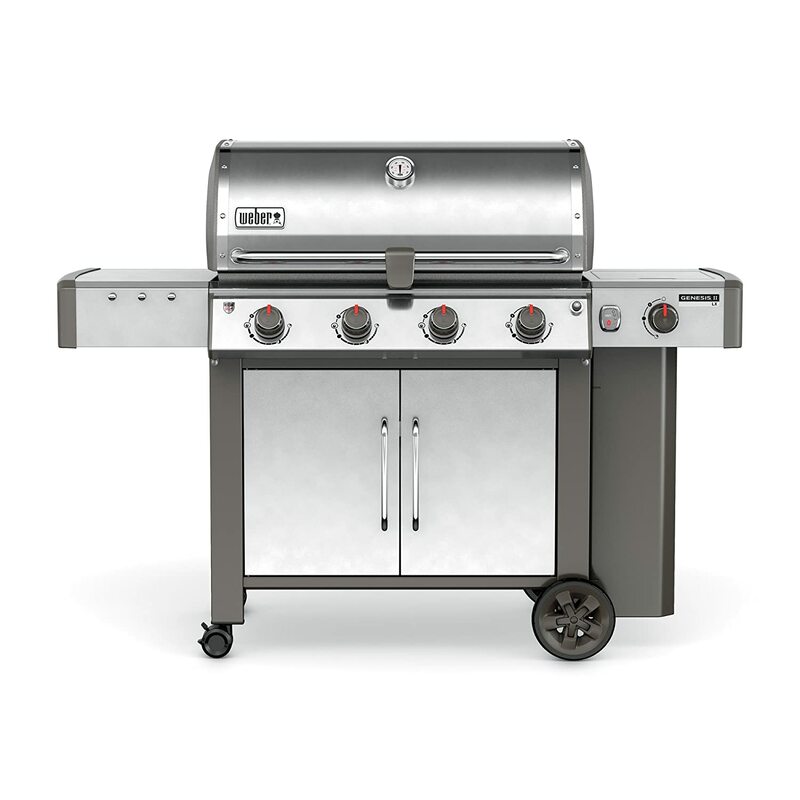 Gas Weber grills have anywhere from 2 to 6 stainless steel burners, and range from sleek and compact, to a full Gas Weber grills center that is essentially an outdoor kitchen! Charcoal Weber grills are the original kettle grills. All charcoal Weber grills are portable, with porcelain-enameled bowls and lids and steel charcoal cooking grates. Here we compare a few of our favorite gas-powered Weber Grills. 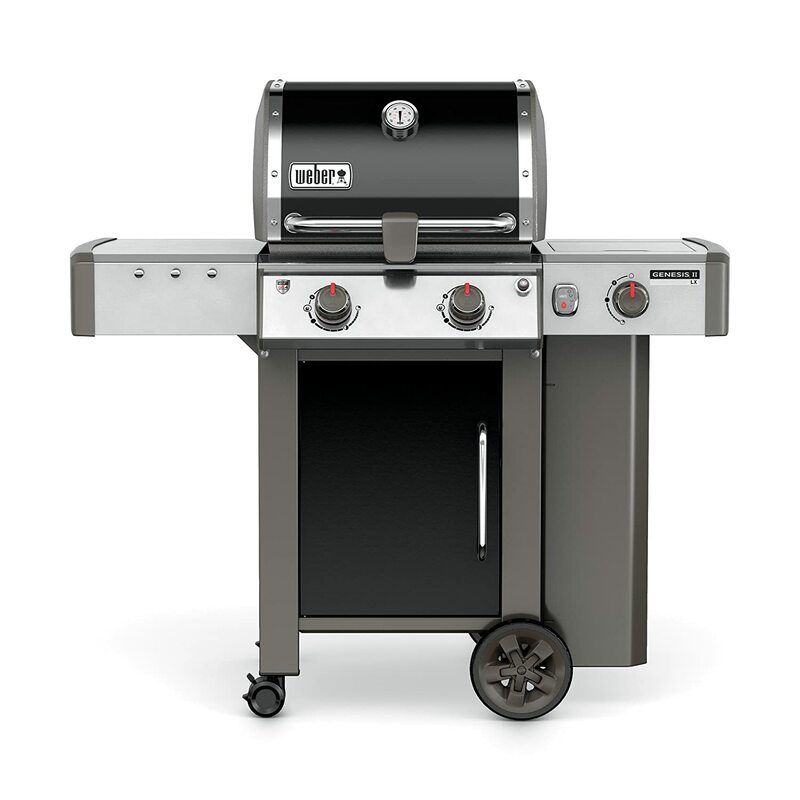 Weber Grills designed the Weber Genesis II LX E-240 to fit on a balcony or patio. It features extra storage space and a folding side table, so you don’t have to sacrifice power for space. The Weber Grills – Genesis II LX E-340 BBQ has 3 burners, a large cooking surface and the GS4 High Performance Grilling System that sets a new standard in the world of backyard BBQ grilling. 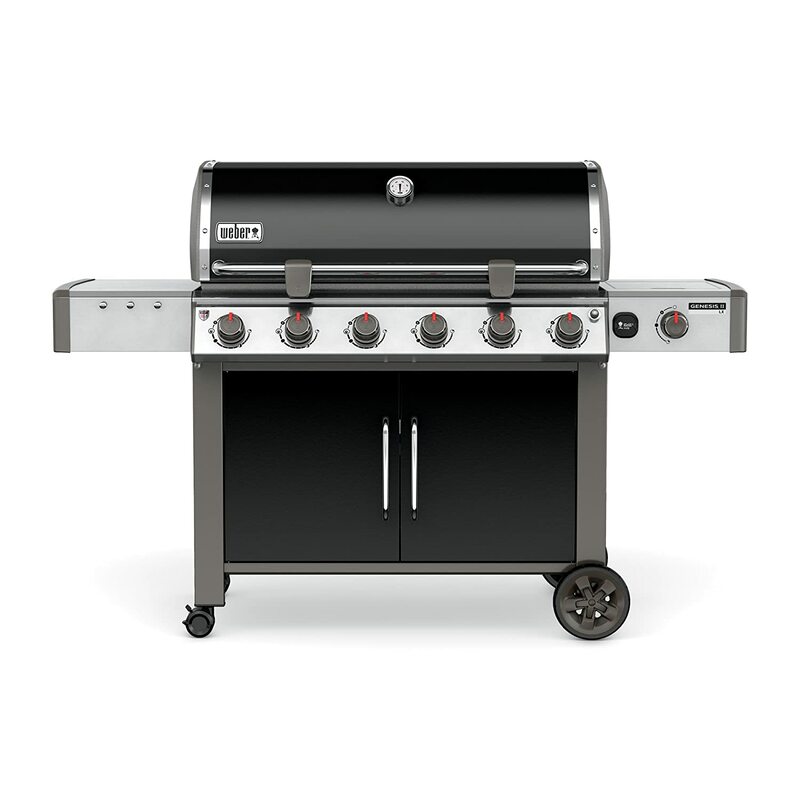 The Weber Grills Genesis II LX S-440 LP gas grill is definitely a force to be reckoned with. The uniquely designed high performance burners promise even heat distribution over the entire cooking area. The Weber Grills Genesis II LX E-640 raises the bar in the world of backyard cuisine. Weber’s exclusive GS4 high performance grilling system ensures that burners light every time, smoked infused food grilled evenly and consistently and hassle free clean up. Weber grills are synonymous with excellent grilling. Sold in over 72 countries, Weber grills have been serving up hot grilled meals since 1952. The Weber grill cooking system promises even and consistent cooking results, with no hot/cold spots and superior performance. Choosing one of the Weber grills for your own backyard barbecue is a matter of overall personal preference, but also the size of the space you have to put Weber grills to use, and the type of cooking you want your new Weber grill to utilize. One of the most innovative components of Weber grills is their inclusion of Flavorizer Bars. Weber grills Flavorizer Bars are inverted v-shaped bars of either stainless steel or porcelain-enameled steel, placed under the cooking grates of your Weber grill. The Flavorizer Bars have many uses in Weber grills: since they sit above the burner tubes, they can help prevent flare-ups from the grease from meat that would normally pool up. They also protect the burner tubes on Weber grills, helping to decrease the need for replacement parts. Lastly, Weber grills Flavorizer Bars help with even heat distribution and add to the flavor and aroma of the grilled meats from the vaporized grease.